If you feel stretched beyond your limit you are not alone. The crushing workloads and stress of so many highly sensitive people are a prescription for burnout. Many people in our fast-paced world burn out from the daily demands even if they are not highly sensitive. For highly sensitive people the problem of burnout is amplified by their naturally higher stress levels caused. The overstimulation we experience is caused by a fast paced, noisy and sensory intense world. creative burnout since HSPs tend to be highly creative. Creativity does not follow a rigid schedule. However, the expectation is that it will. Creativity can create pressure all by itself, but with time pressures added, creative burnout can be a result. high empathy can result in serious burnout problems. Our empathy may cause us to dig deep and be extremely conscientious which is an added demand that we place on ourselves. It may not be rewarded, but is something we do to be at peace with ourselves. too much sensory stimulation from all forms of noise, light, chemicals, and electronics to name a few can add also to our burnout potential. toxic relationships, at home and at work are contributing factors as well. These factors sound simple and probably reflect the reality of non=HSPs. However that does not mean that they do not apply equally to highly sensitive people. In the case of HSPs, both can be serious factors because our need for rest is high and frequent and because many forms of work do not suit us, in particular all forms of drudgery. when the work we are doing doesn’t suit our skills or interests. when we are sick or a family member is sick causing us to burn the candle at both ends. All these factors – the presence of some or absence of others create stress for highly sensitive people. Since our systems are so sensitive, poor health habits will only make all of the potential burnout factors worse. if you are strong and have physical reserves, you may be an HSP who has the ability to withstand long-term stressful situations. if you are an HSP with lower resilience, you need to be careful about how much stress you tolerate and make adjustments to prevent physical burnout. are you doing work you love r is a lot of it drudgery? do you have the skills you need to succeed in your field? do you work with people who are good for you including taking your sensitivity into account? is the organization well managed so that you are not affected by constant emergencies? start with your family. Is it a warm, loving and supportive family? Are you accepted or are you generally frustrated by the disregard and unhappiness in your family? do you have close supportive friends who accept and understand your sensitivity? do you have a community you are a part of that is also supportive of your HSP trait? are your work relationships good and productive? consider the time of year. consider the overall stress conditions in your life? do you have burnout in some or two area spilling over into others and are you able to take time to heal? do you see the potential for burnout to develop in any area in the future? Anyone can suffer from burnout. Highly sensitive people are likely to be more quickly affected than others by a high demand culture. But there are some steps you can take to insulate from the worst effects of burnout. strengthen your body first. Improve your energy by getting a great night’s sleep, exercising, keeping hydrated and eating well. Detox your body since toxins can build up causing debility over time. Take herbs to support your nervous system and defuse the impact of stress on your body. learn to meditate to relieve stress and help you with emotional balance. A long term meditation practice can help you detach from toxic people and helps restore your nervous system. make a list of all the areas of your health that you need to work on and set priorities for them. research on the internet about areas of your life that need significant improvement. Do not be afraid to tackle large issues like career choices and family problems. do not be afraid to cut back on commitments that are too draining. Your other commitments will benefit from your improved attention. You are not responsible for others expectations. upgrade your skills to keep yourself marketable and functioning well and minimize job stress. for the tasks you hate, you have several options: drop them if they are really unimportant, break them up into small bite size work units so that you only have to so it for a short time, delegate them, or trade your undesired task with someone else’s undesired task. Avoid drudgery. It is notoriously draining for HSPs. determine what is most important to you so that you increase your time spent on your high value activities and therefore increase your satisfaction. It will cushion you from less pleasant experiences. 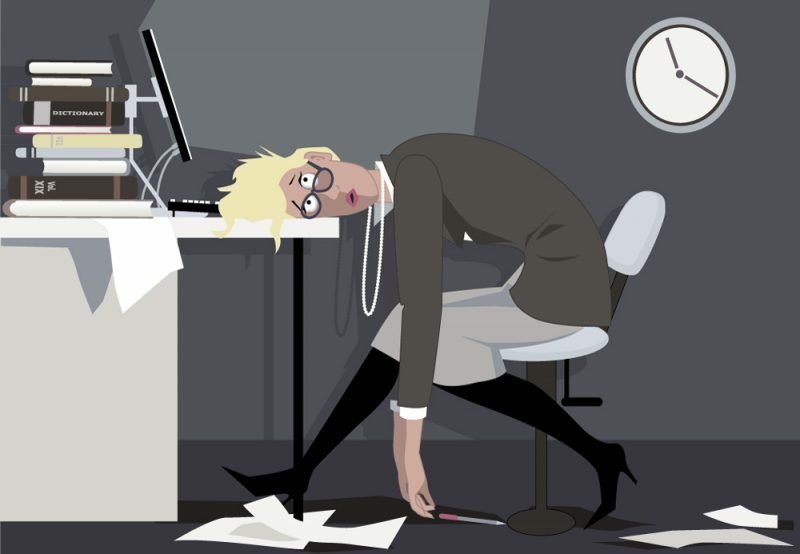 treat burnout as a life-time concern that you can eliminate but taking good care of your life. It is a serious challenge for HSPs but one worth taking on. Everyone’s life matters and everyone deserves to enjoy their life. HSPs need to learn to say no. You do not have to carry the world on your shoulders. When you are flexible, mindful about commitments and your highly sensitive nature and take excellent care of yourself you are doing what is necessary to beat burnout. Preventing burnout is one of the most important things a highly sensitive person can do. Tea, Coffee, and energy drinks can accelerate burnout, worth noting even caffeine free alternatives have small amounts and caffeine and will not clear out of your system for a few days especially as you get older, so you can end up with the same blood dilution with excessive tea and coffee drinking. Boring I Know but water does help maintain a stable mental state. Social Media and news are also bad for bringing up stress levels especially in sensitive people avoid if possible. Mobile phones connected to social networks, with constant updates being spammed to your phone are also equally as stress inducing, unsubscribe and what you don’t want to read about, or turn of all notification. Most modern phones also come with a blacklist facility, if you get alot of unsolicited calls and messages this can be very useful for filtering them out. The internet is as much a curse to sensitive types, as a blessing, pay heed. This is a great summary for managing HSP self-care. I’m going to print it out and make use of it. Thanks!